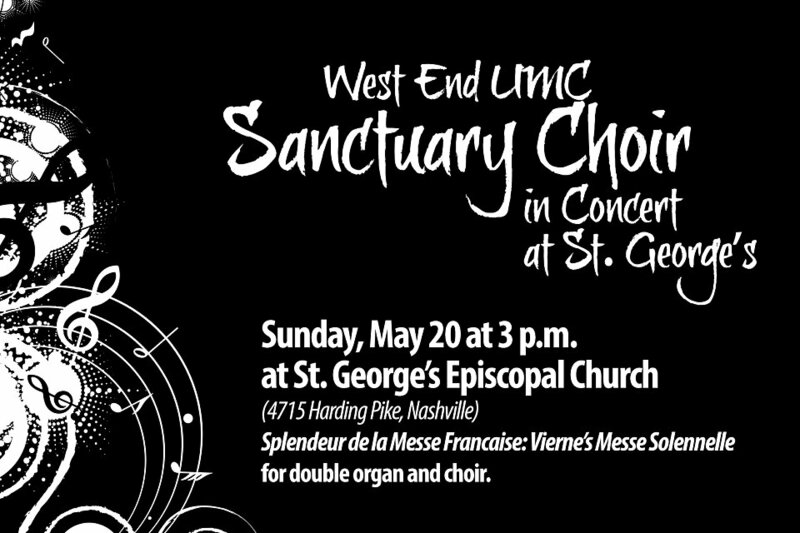 Join us Sunday, May 20 at 3 p.m. at St. George’s Episcopal Church (4715 Harding Pike, Nashville) for Splendeur de la Messe Française: Vierne’s Messe Solennelle for double organ and choir. The Sanctuary Choir of West End UMC joins the choir of St. George’s for this concert of French music in the grand tradition. Also featured on the program will be works of Franck, Dupré, Duruflé, and Widor.